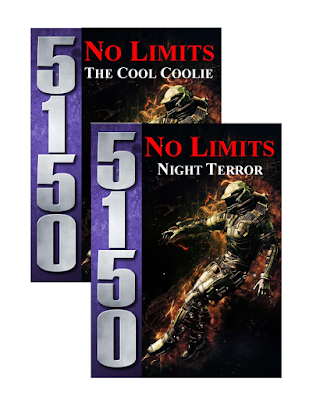 Coming latter this week, two new scenario books for 5150: No Limits - Maiden Voyage - the Sci Fi Adventure core rules. · Stats for the Races found in the Core Rules – Maiden Voyage and any new Races. · Info about New Hope City and a Map. · The Buildings Table from the Core Rules. · Info on your Spaceship from the Core Rules. · Info on the Rings in the 5150 Universe and the Whose Planet is it Anyways Table. If you want, you can switch out the planets by using the new Races. · The sixteen basic, use them as you need them, Encounters, and sixteen Linked Encounters specific to the book. How did you know I had some money, Ed? This is like 'early Christmas"